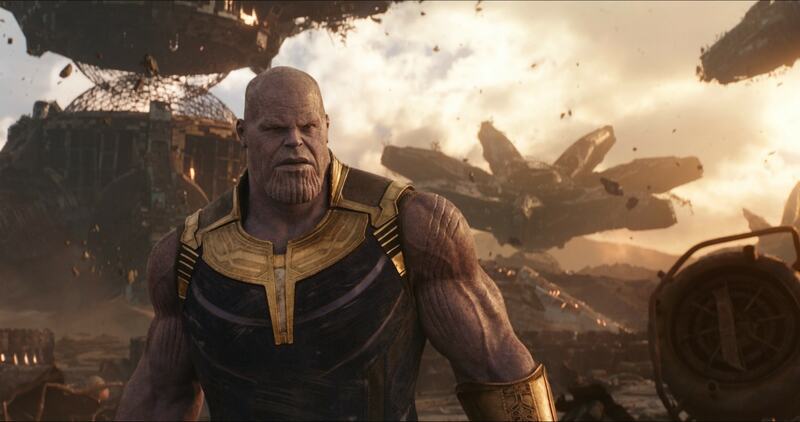 Avengers: Infinity War both intrigued audiences and broke their hearts earlier this year when the first installment of the latest Avengers story released into theaters worldwide. 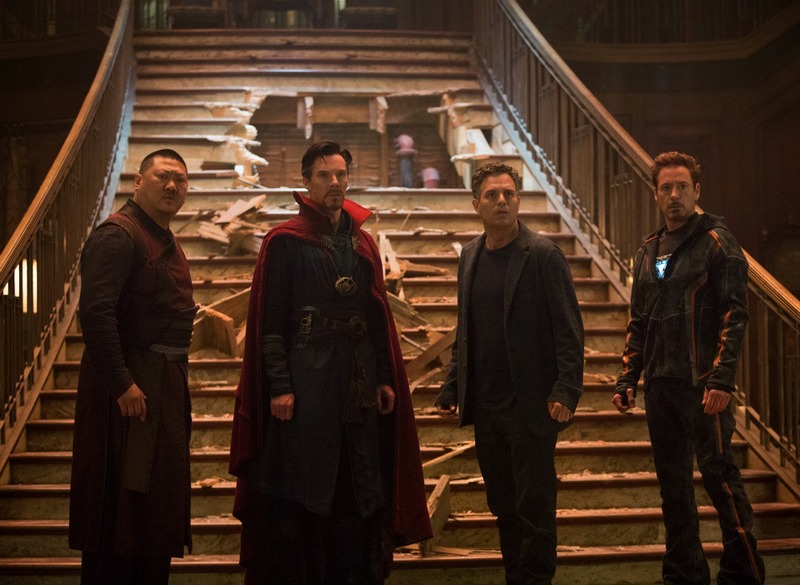 We sat down with the executive producer of Infinity War, Trinh Tran, who talked about filming and life being a Marvel Studios executive. Trinh also may give us a little hint as to what we can expect in Avengers 4! 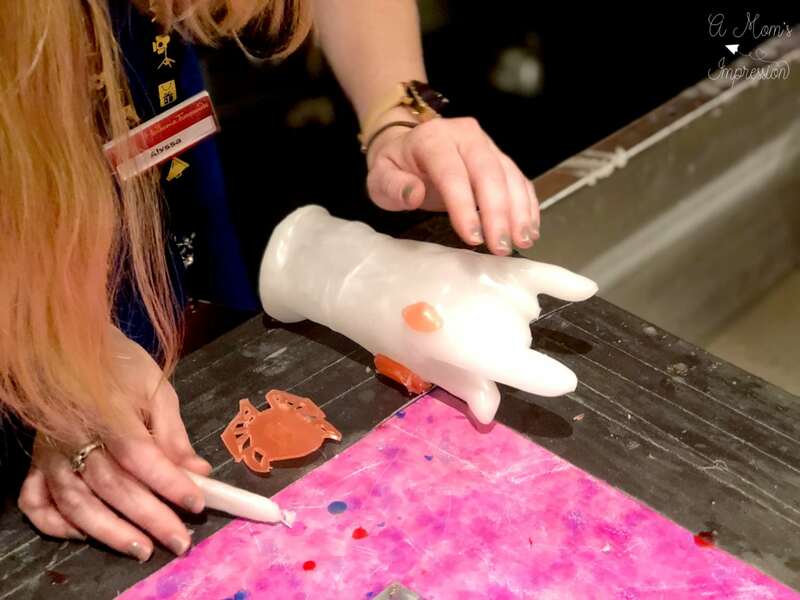 Keep reading to see how I made a custom wax Infinity Gauntlet at Madame Tussauds! 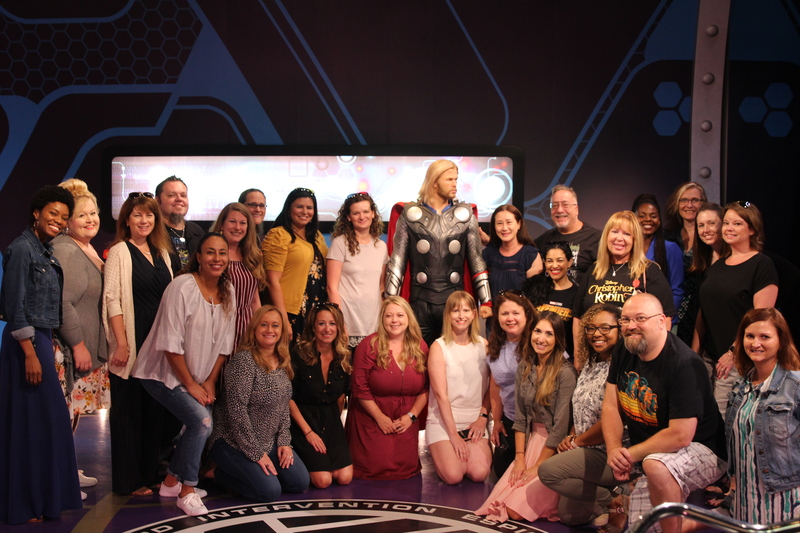 A big thank you to Disney Studios for flying me out to LA for this press event. 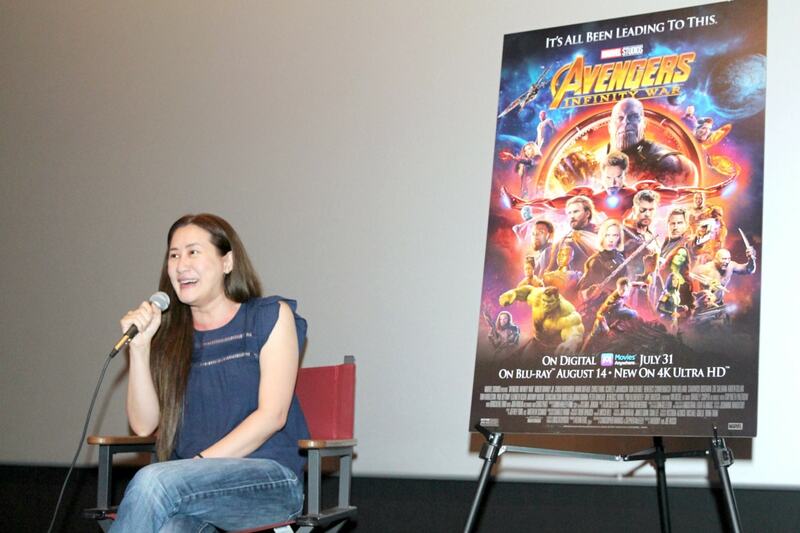 Being an executive producer for one of the biggest films of all time you might think that Trinh Tran has always been a big Marvel fan. The truth is that Trinh didn’t grow up reading comics. When she started with Marvel there were only about 20 people working there. 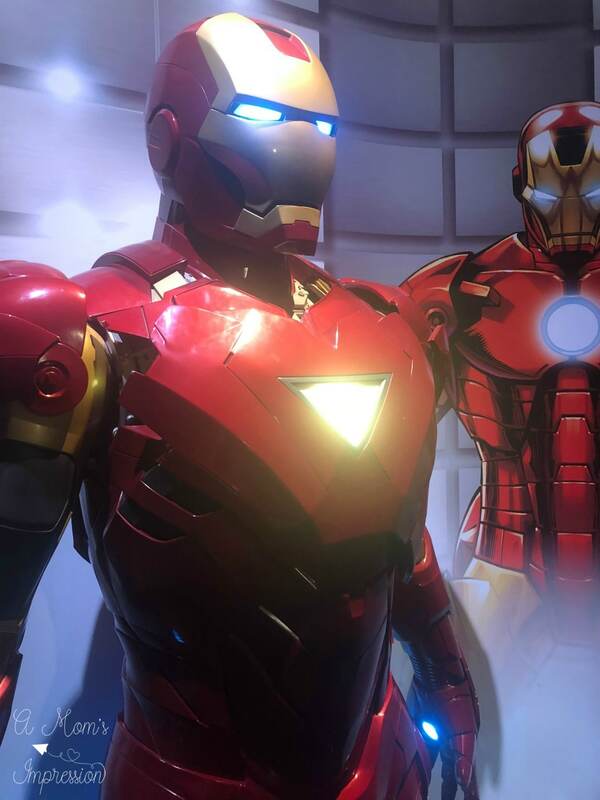 Her boss brought her in to watch the first Ironman movie and she fell in love! I remember the first time my boss brought me into watch “Ironman” and I absolutely fell in love with the movie. I fell in love with the Character and I just knew — I knew that all, this is the company I want to be in business with. This is the type of movie I want to work on. Fast forward several years later and Trinh is working on Avengers 4, the sequel to Avengers: Infinity War. Every Marvel fan has now seen Avengers: Infinity War at least once by now and many of us are left with all kinds of emotions, mostly not good ones. Trinh was shocked with the reception that the movie did get because many fan-favorite characters didn’t survive the end of the movie. She said it was weird that the audience was OK with the bad guy winning. Filming Infinity War was difficult for Trinh. The filming took place in Atlanta and took a year and a half to film. She was away from her family and friends for that entire time. When Infinity War finally opened she didn’t know what to do with herself. But now she is on to the next one, the sequel set to release next year. We were able to ask some question, some of which she wasn’t able to answer (NO SPOILERS) but she did let some very important information slip when we asked her how they decided who would survive the first film. It was pretty difficult. Sitting in the story meeting we really had to make the decision of yes, who we want to survive so that we could tell the next story. 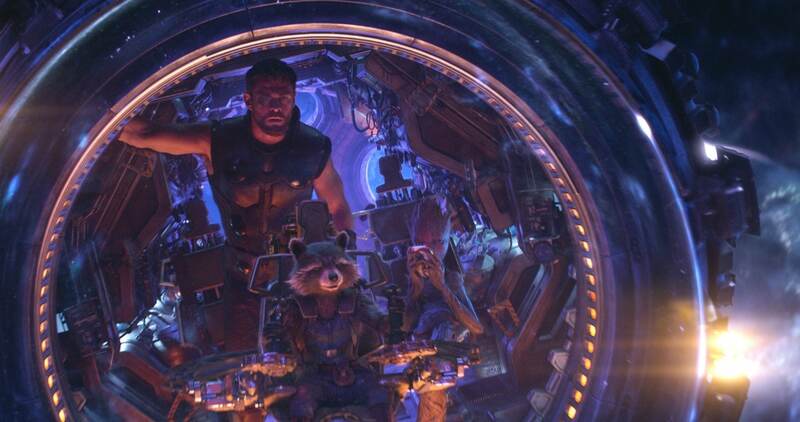 We sat there and we boarded out, we brainstormed, we’d sit in the room, we hash it out every single day, involvement in pre-production and it was really trying to figure out how this was going to connect to Avengers 4. We wanted to be able to tell a story, I won’t get into it much because I don’t want to spoil anything but there is a specific reason why some of these people survive. 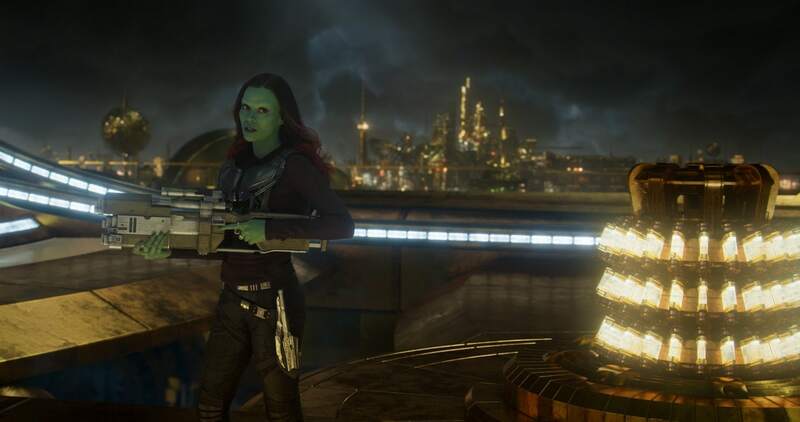 As far as the characters are concerned, Trinh said that Gamora really stood out to her in Infinity War. She liked seeing her transformation since we first met her in the first Guardians of the Galaxy movie. I think the one that really stood out in this particular movie, “Infinity War” is Gamora. I think she really shines in this one and I didn’t really get to see as much of that from Guardians 1 and 2, and we really wanted to give her a prominent role next to Thanos so I think her evolution and her back story and having to be able to tell her side and her relationship with Thanos was really important here. So after all of that, is Gamora her favorite Marvel Character? I know Captain Marvel is not Infinity War but she’s the one (her favorite). I’m looking forward to her movie and I think it’s about time. And you know, it’s only because she’s so strong and what’s so important is that she embodies leadership and we got to have more of that especially Female so I’m looking forward to March when this movie comes out. After we finished our interview, we had some time to explore Madame Tussauds. I found a lot of my Avengers friends just waiting to say hi! 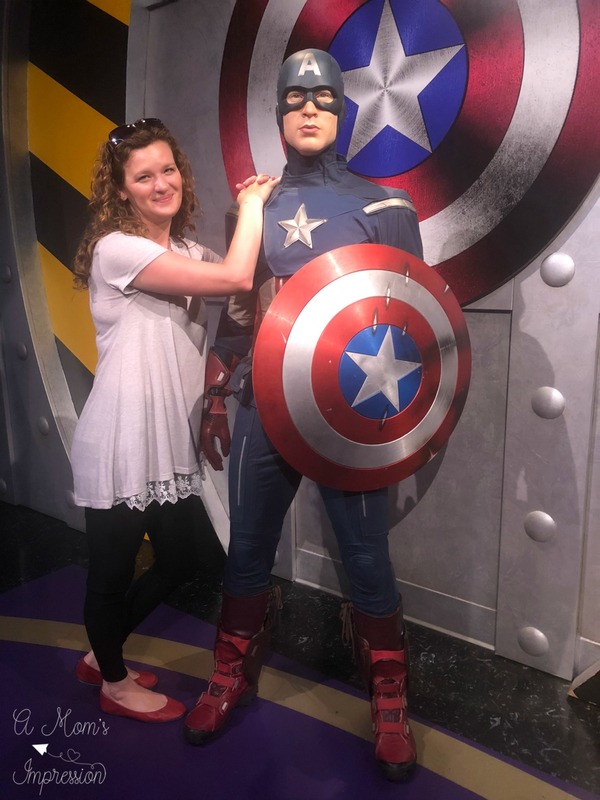 I had to get a picture of my man… Captain America! 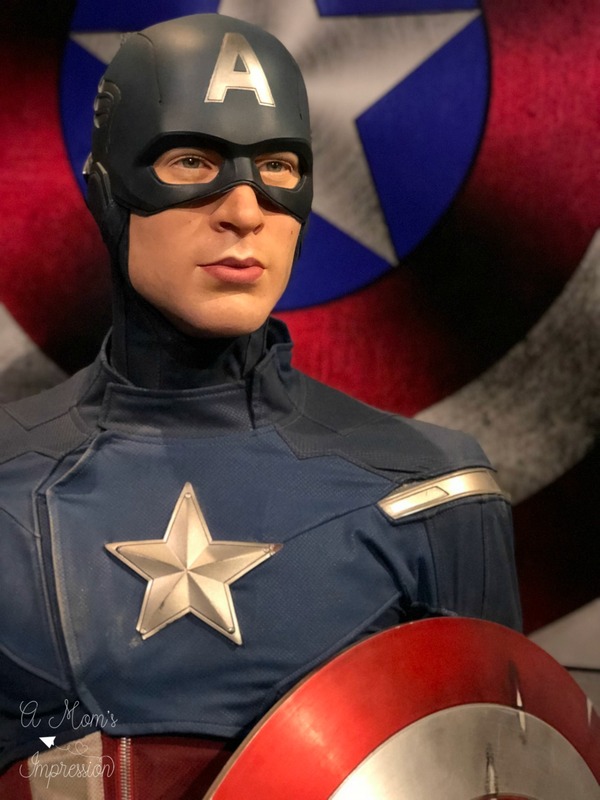 How I wish that he was real, but this wax figure was pretty realistic! It will have to do for now! Here is a close-up because you can’t get too much Captain America! Many of his friends were also at the museum. It’s hard to believe that they aren’t real. 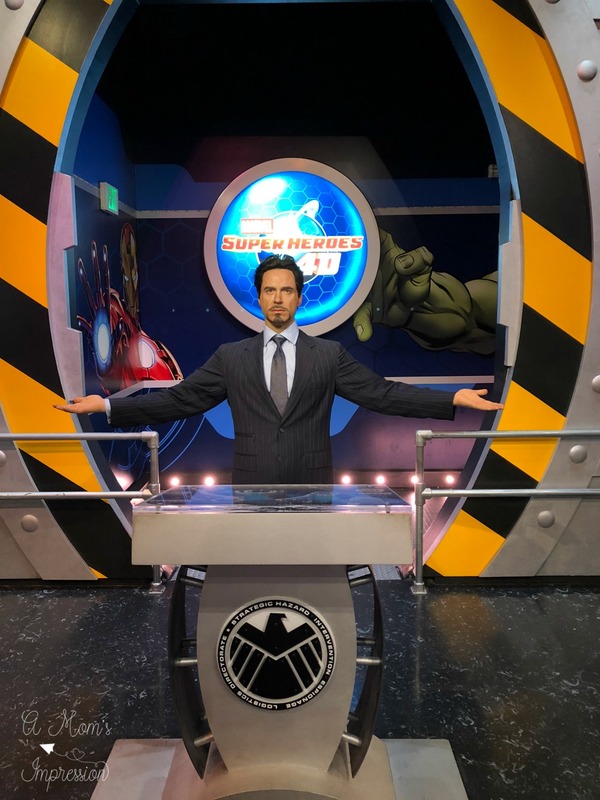 Our visit to Madame Tussauds wasn’t complete without making our own wax figures! 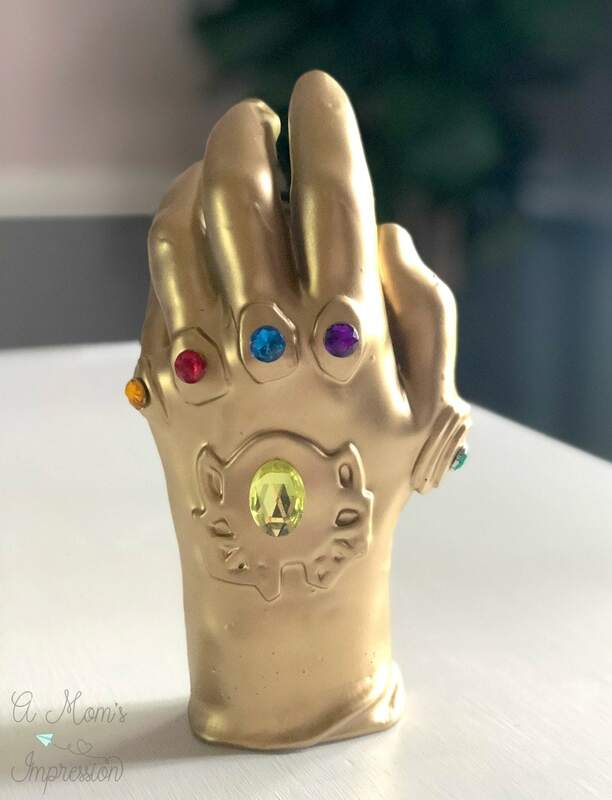 With the help of the staff, we were able to create a custom Infinity Gauntlet! Making a wax hand is a little painful if I am going to be honest. First, they dip your hand in ice water for about a minute. The water stings! After your hand temperature has cooled down, they towel you off and then dip your hand into the warm melted wax. After every dip into the wax, you go back into the ice bath. After doing this 4-5 times they will slip the wax off of your arm. 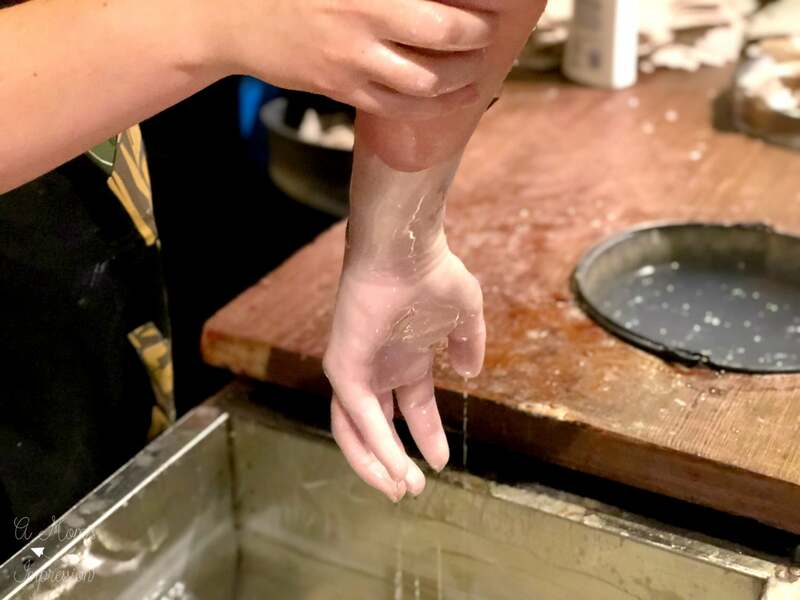 Anyone can pay to make a wax hand at Madame Tussauds, but we had a special treat. 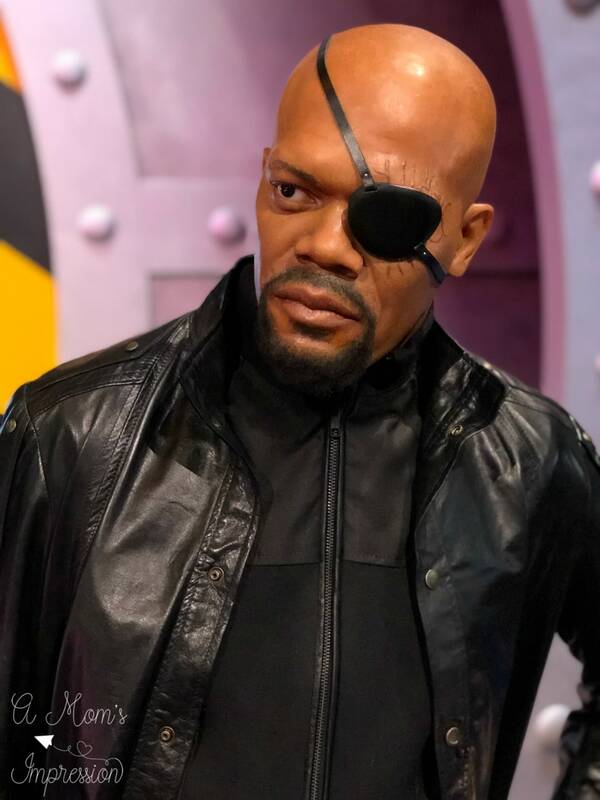 Instead of just wax, the staff at Madame Tussauds added some special wax touches to ours and spray painted them gold. After a few plastic “stones” we were presented with our own personal Infinity Gauntlet! Just in time for the home release of Avengers: Infinity War! 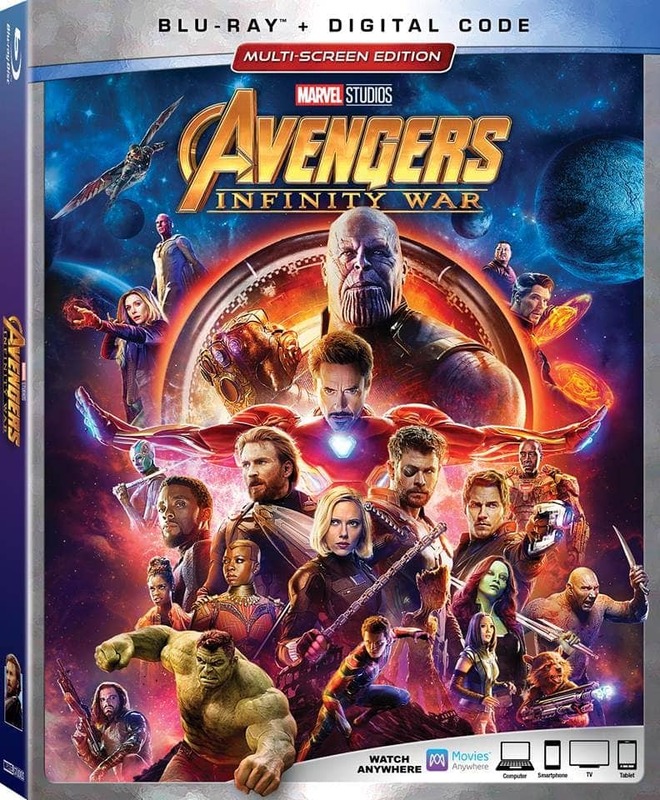 Avengers: Infinity War is now available on Digital and will release onto Blu-ray on August 14th! If you missed it, be sure to check out all my Infinity War coverage when I attended the World Premiere earlier this year! And stay tuned next week when I review the Infinity War Blu-ray with all of the fun Bonus Extras!